United Airlines (and feeder airline Shuttle America) are facing a boycott amid claims that a Muslim woman was refused a can of Diet Coke because “it could be used as a weapon”. 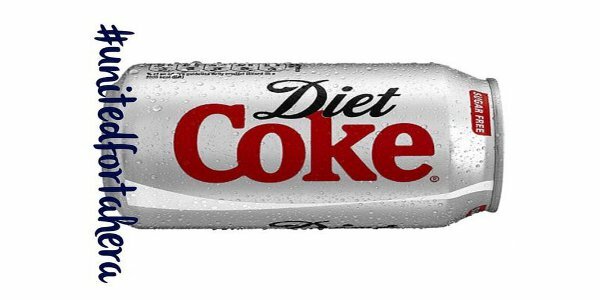 It is alleged that Tahera Ahmad asked for an unopened can of Diet Coke (for hygiene reasons) but was told that this wasn’t possible because of the security concern. In the babble that followed, it’s alleged that another passenger said “… you Moslem, you need to shut the F** up”. The same man allegedly further added, “yes you know you would use it as a WEAPON so shut the f**k up”. The alleged exchange has caused an online uproar, with thousands using the hashtag of #unitedfortahera as a means of supporting her and her allegations. Tahera Ahmad posted the following to her personal Facebook page. Shuttle America have responded by saying that “… there is policy and procedure for the beverage service, and there is no differentiation between opened and unopened cans”. Ms. Ahmad identifies herself as the Director of Interfaith Engagement/Associate Chaplain at Northwestern University… and this association raises questions. It’s important to appreciate the opportunity for fiction when a high profile person (with a history of sharing stories of Islamophobia) leverages social media against a corporate giant to propagate the idea or ideals of racism (or anything else) – particularly when that information serves to raise awareness of a broader cause. While we don’t dare suggest Ms. Ahmad exaggerated her experience in any way, it’s also possible her understanding of the exchange was flawed. If the flight attendant in question did in fact take the reported malicious approach, it couldn’t possibly be without reason. Flight attendants come across countless Muslims in the course of their daily duty, and it’s a little absurd to suggest that one person was targeted without provocation. It’s clear Ms Ahmad was upset about something; the pilot of the aircraft kindly escorted Ahmad to the United service desk after landing so that she could make a formal complaint. Until the full nature of the misunderstanding is known, or until it’s determined if there was any other agenda behind the public comments, the socialverse should probably refrain from the emotionally fuelled responses. Featured image: Twitter user @ImamSuhaibWebb .